Many books to choose from here. 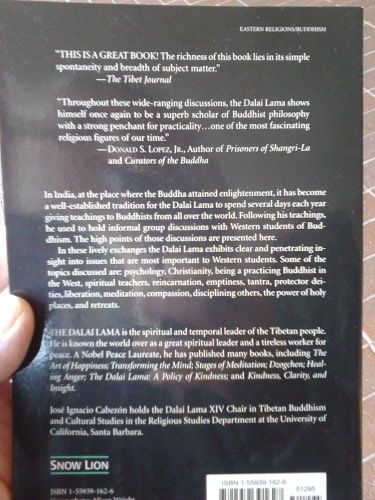 Buddhist, including Theravada, Mahayana and Dali Lama titles. 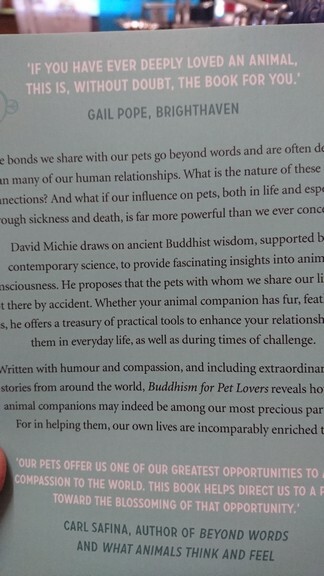 David Michie draws on ancient Buddhist wisdom, supported by contemporary science, to provide fascinating insights into animal consciousness. He proposes that pets with whom we share our lives are not there by accident. Weather your animal companion has fur, feathers or fins, he offers a treasury of practical tools to enhance your relationship with them in everyday life, as well as during times of challenge. 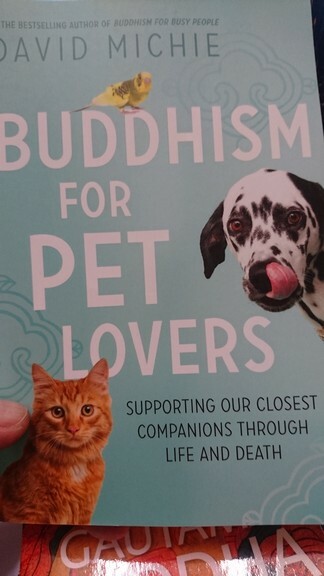 Written with humour and compassion, and including extraordinary true stories from around the world, Buddhism for Pet Lovers reveals how our animal companions may indeed be among our most precious partners. For in helping them , our own lives are incomparably enriched too. Starving and pitiful, a mud smeared kitten is rescued from the slums of New Delhi and transported to a life she could never have imagined. 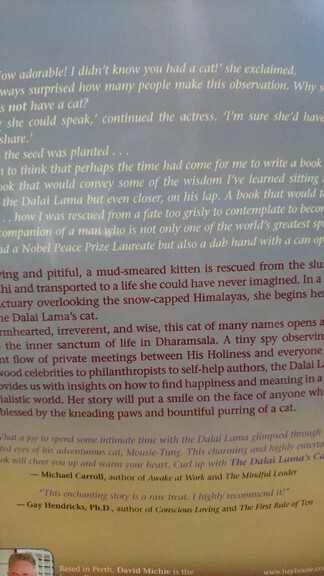 In a beautiful sanctuary overlooking the snow capped Himalayas, she begins her new life as The Dalai Lama's Cat. Warmhearted, irreverent and wise, this cat of many names, opens a window to the inner sanctum of life in Dharamsala. 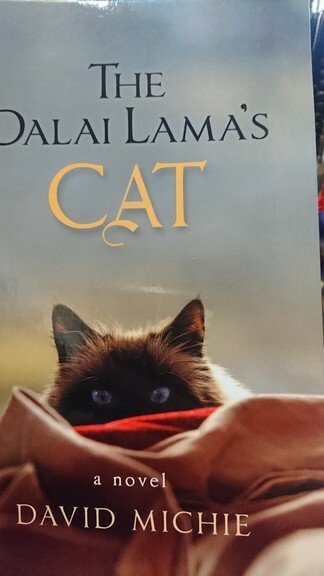 A tiny spy observing the constant flow of private meetings between His Holiness and everyone from Hollywood Celebrities to philanthropists to self-help authors, the Dalai Lama's Cat provides us with insight on how to find hapiness and meaning in a busy, materialistic world. Her story will put a smile on the face of everyone who has been blessed by the kneading paws and bountiful purring of a cat. 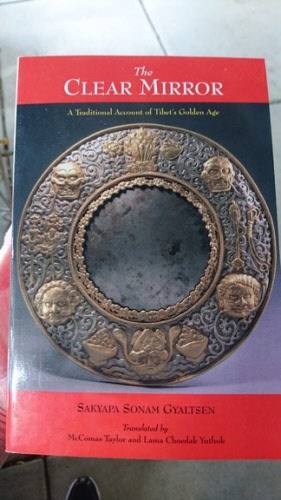 Whilst many accounts of the Buddha's life mix legend and history, this compelling new biography discriminates between fact and fiction to reveal Guatama, the remarkable human being behind the myth, and sheds new light on his teachings. 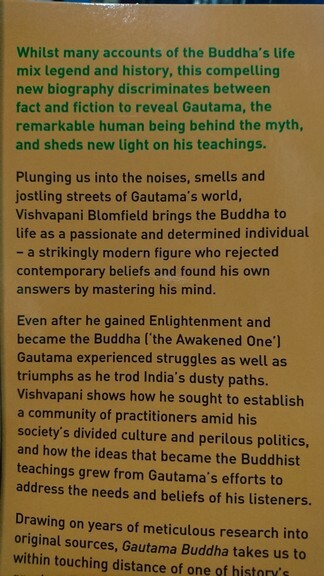 Plunging us into the noises, smells and jostling streets of Guatama's world, Vishvapani Bloomfield brings the Buddha to life as a passionate and determined individual - a striking modern figure who rejected contemporary beliefs and found his own answers by mastering his mind. 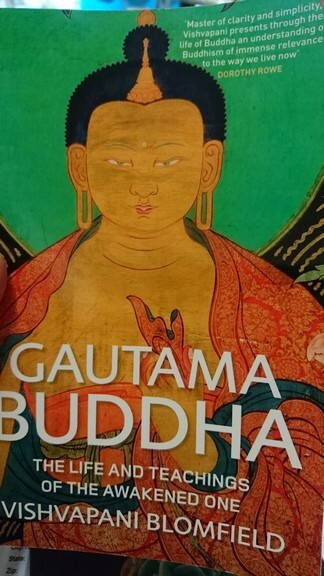 Even after He gained enlightenment and became the Buddha, Guatama experienced struggles as well as triumphs as he trod India's dusty paths.. 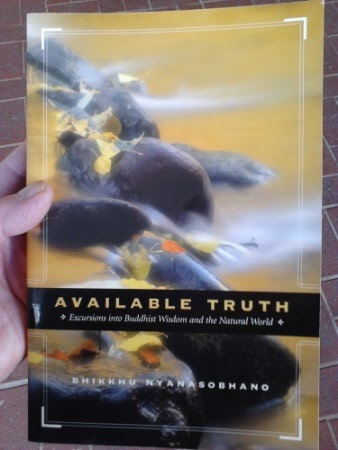 He sought to establish a community of practitioners amid his society's divided culture and perilous politics, and how the ideas that became the Buddhist teachings grew from Gautama's efforts to address the needs and beliefs of his listeners. Drawing on years of meticilious research into original sources, Guatama Buddha takes us to within touching distance of one of history's greatest figures. 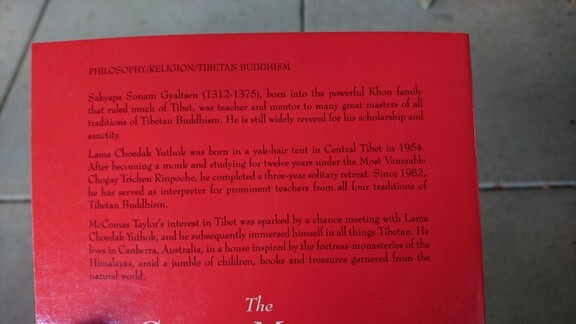 Written by Sakyapa Sonam Gyaltsen (translated by McComas Taylor and Lama Choedak Yuthok. 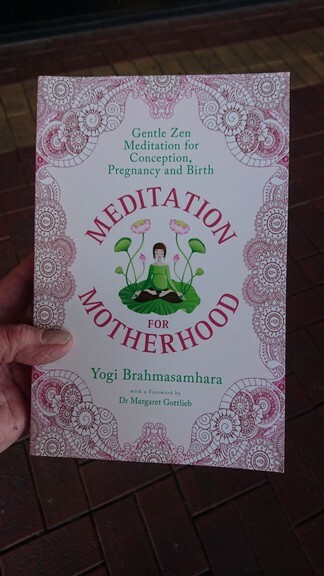 In Meditation for Motherhood Yogi Brahmasamhara presents step by step guidance on authentic, Zen meditation, the most powerful, natural and deeply beneficial practice available to a woman during the phases of creating and nurturing her baby. ~damping down the mind babble~. Above all, you will acquire the ability to take those skills with you wherever you go. This vivid and moving autobiographical portrait is the first work to be dedicated to the Dali Lama's spiritual journey. 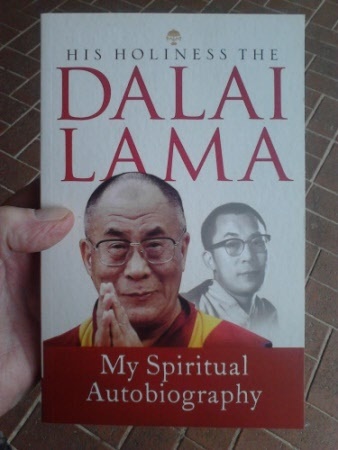 Personal in tone, but universal in scope, it presents the arc of his spiritual vision from his boyhood in rural Tibet, through his life as a monk in India, to his exile as one of the world's most visible leaders. Hi Holiness's unique spiritual formation and the unusual course of his life mean that his opinions on religion and politics are listened to with respect and admiration. 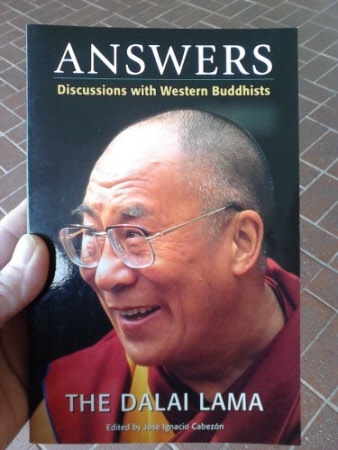 Here he gives views on topics as diverse as the environment, his successor and religious militancy. 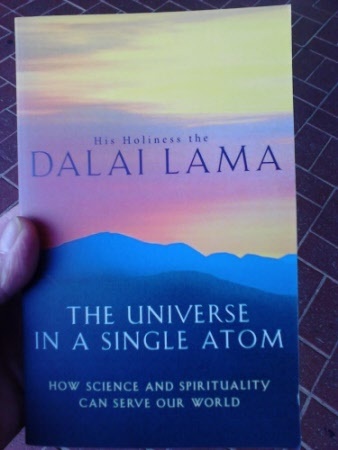 At the same time, his tought-provoking spiritual insights provide and inspiring example, encouraging us to combine love and compassion in all that we do. A tireless pilgrim of peace, His Holiness works at the very centre of a whirlwind of activity. Andy yet, despite the pace of his schedule, he always maintains the same serenity and openness. Whoever he meets, whether it be an old friend, a visitor, or passer-by, he is instantly and completely present, gazing into each person's face with that special expression of goodness, simplicity, and tremendous humour. 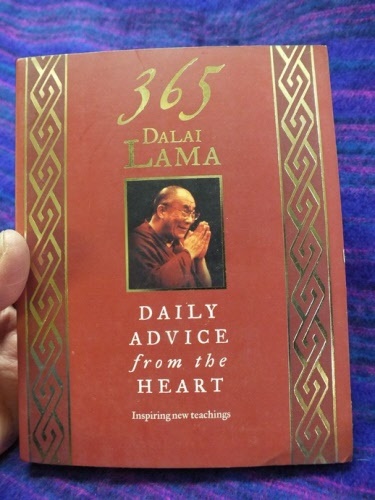 The new teachings in 365 Dalai Lama give you an opportunity to feel the focus and presence of the Dalai Lama as never before. Hi Holiness offers us his advice from the heart. And there is no doubt that if we could truly assimilate into our thoughts and actions just a fraction of his advice, we would rejoice at the results. 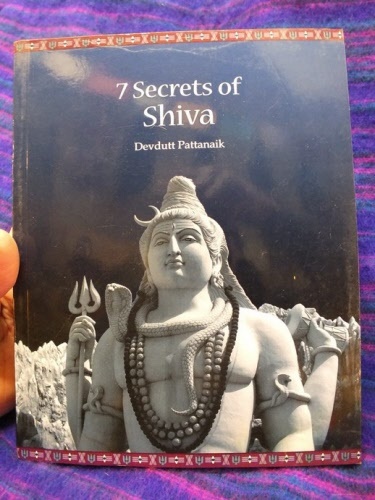 Filled with detailed information on Shiva. 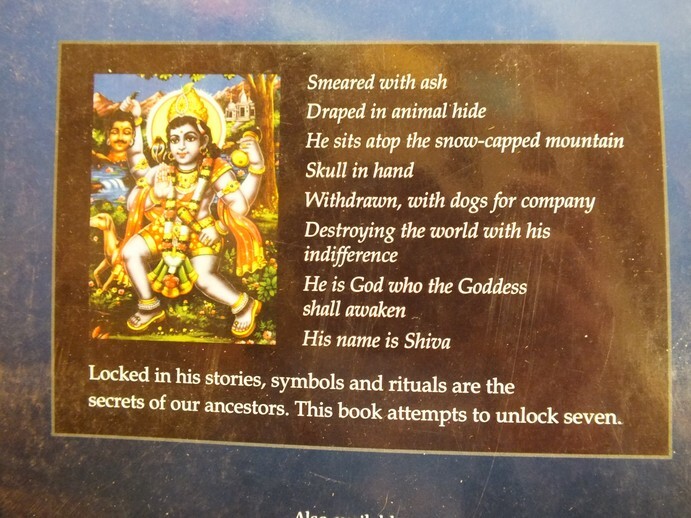 Who is He - what is He all about? In this book you will find out many things even some Hindus don't know, such is the depth that this work delves into. 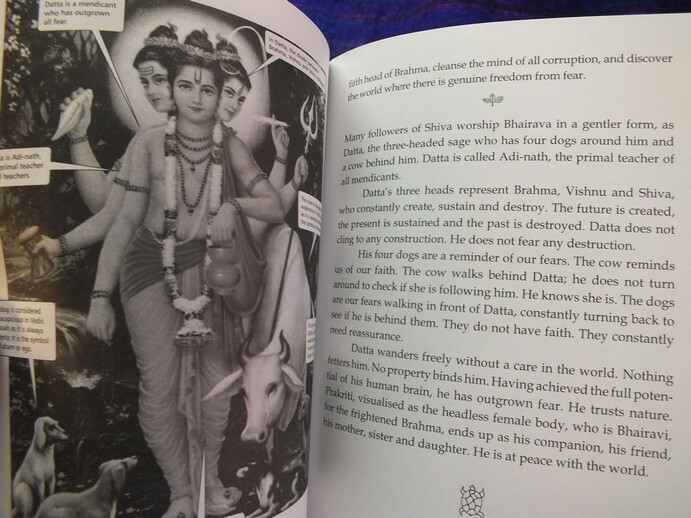 Shiva the householder, Shiva as Nataraja, Shiva as husband and father. 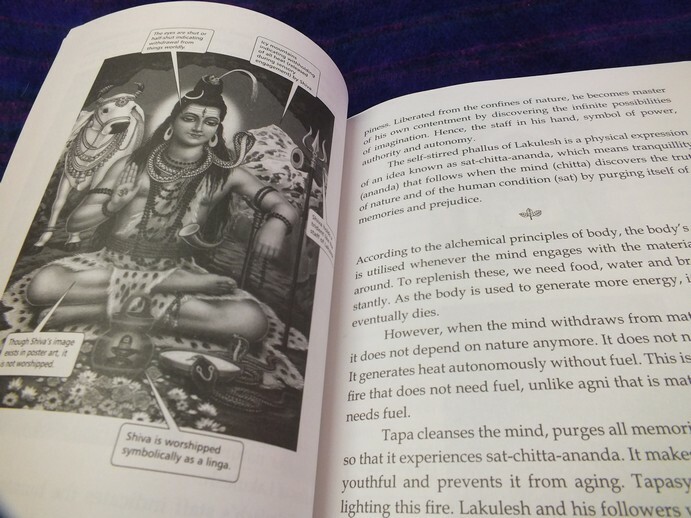 Diagrams and drawings on most pages. 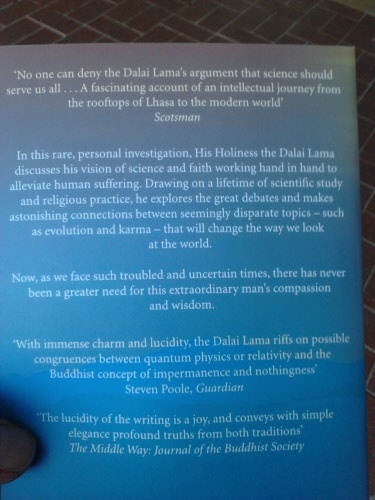 In this rare, personal investigation, His Holiness the Dalai Lama discusses his vision of science and faith working hand in hand to alleviate human suffering. 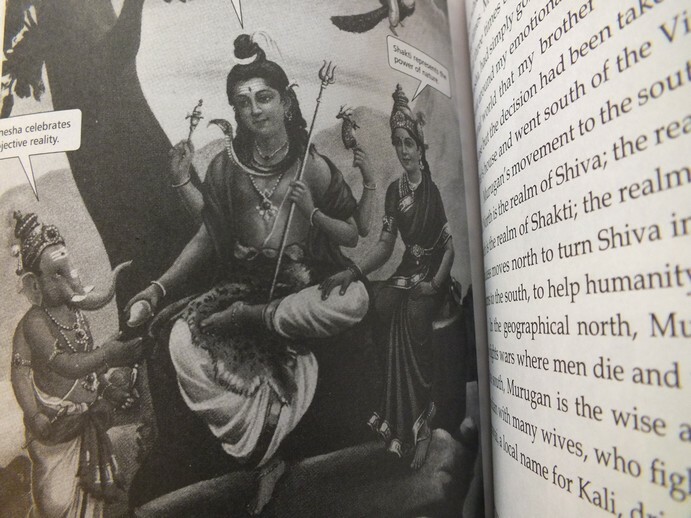 Drawing on a lifetime of scientific study and religious practice, he explores the great debates and makes astonishing connections between seemingly disparate topics - such as evolution and karma - that will change the way we look at the world. 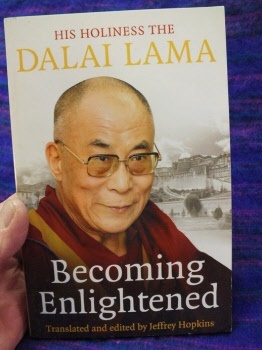 Throughout these wide ranging discussions, the Dalai Lama shows himself once again to be a superb scholar of Buddhist philosophy with a strong penchant for practicality ... one of the most fascinating religious figures of our time. With his books Landscapes of Wonder and Longing for Certainty, this American monk led readers down literary trails, providing enlightening glimpses of the natural world. In Available Truth, he guides us further along the path. 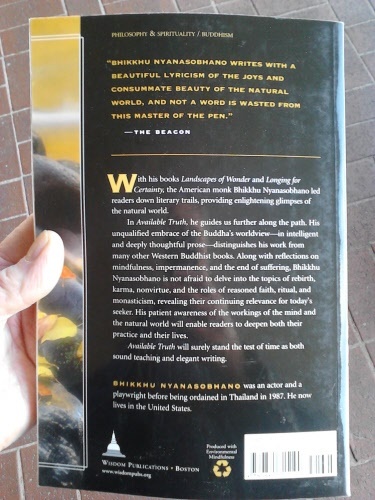 His unqualified embrace of the Buddha's worldview... in intelligent and deeply thoughtful prose .. distinguishes his work from many other Western Buddhist books. Along with reflections on mindfulness, impermanence, and the end of suffering, Bhikkhu Nyanasobhano is not afraid to delve into the topics of rebirth, karma, nonvirtue, and the roles of reasoned faith, ritual, and monasticism. 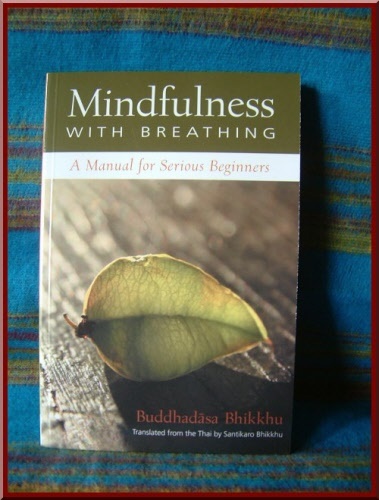 This book will surely stand the test of time as both sound teaching and elegant writing. 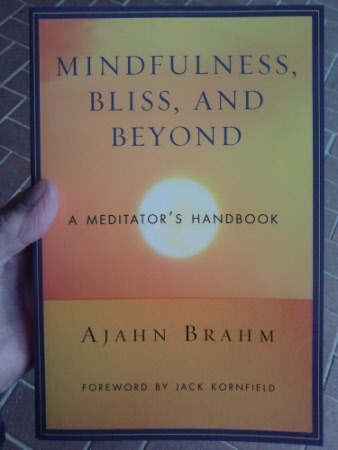 Ajahn Brahm is a revered spiritual guide and the abbot of one of the largest monasteries in the southern hemisphere, regularly drawing multinational audiences of thousands. Self described "meditation junkie" Ajahn Brahm here shares his knowledge and experience of the jhanas - a core part of the Buddha's original meditation teaching. The beginning instructions are some of the best anywhere, and the descriptions of the advances states are unparalleled in their vividness. He lives in Serpentine, Australia. 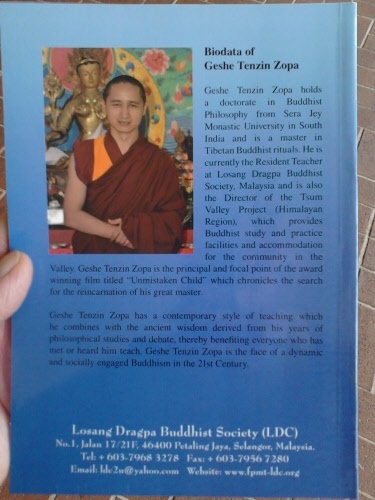 Geshe Tenzin Zopa holds a doctorate in Buddhist Philosophy from Sera Jey Monastic University in South India and is a master in Tibetan Buddhist rituals. 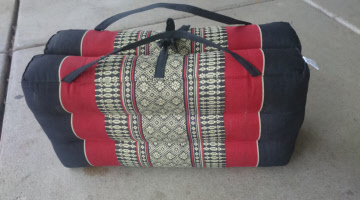 He is currently the Resident Teacher at Losang Dragpa Buddhist Society, Malaysia and is also the Director of the Tsum Vally Project (Himalayan Region), which provides Buddhist study and practice facilities and accommodation for the community in the Valley. 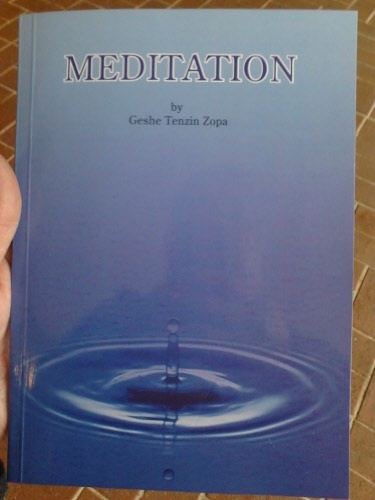 Geshed Tenzin Zopa has a contemporary style of teaching which he combines with ancient wisdom derived from his years of philosophical studies and debate. 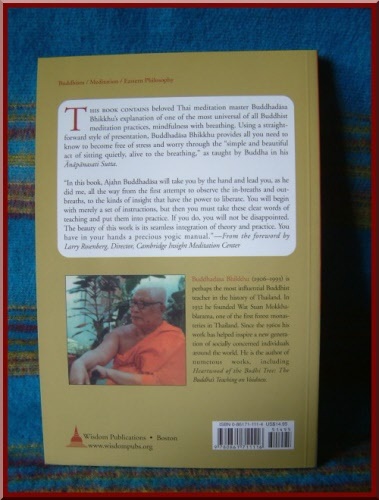 He is the face of a dynamic and socially engaged Buddhism in the 21st century. The female Buddhist Deity Tara is an object of devotional worshipand medatitive practice for Tibetan Buddhists everywhere. She clears away fears, overpowers negative emotions, and enables all beings to reach enlightenment. 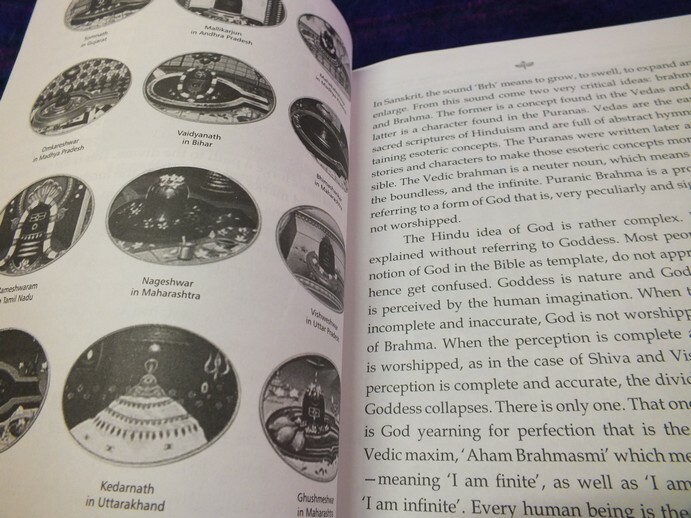 She has a special resonance as a source of female spiritual wisdom. 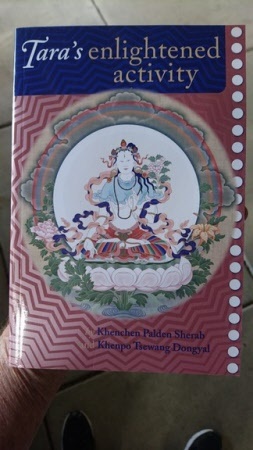 Tibetans of all schools and traditions recite the verses on which this commentary is based. Focused comtemplative meditation in relation to the myraid aspects of Tara work to transform the practitioner's mind into those enlightened qualities and mind states that Tara represents.